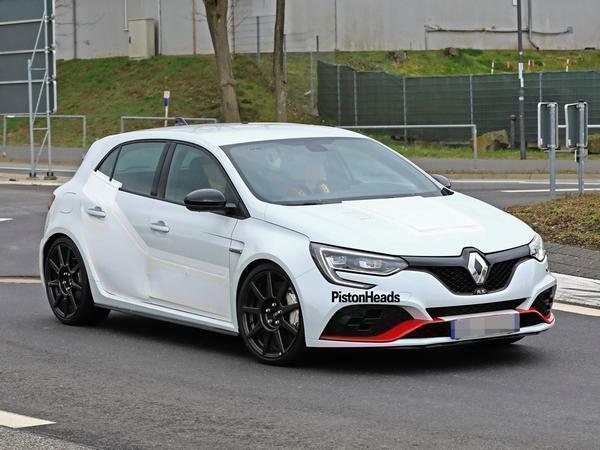 Home > Regulars > PH French > New Megane Trophy-R - the disguise is gone! 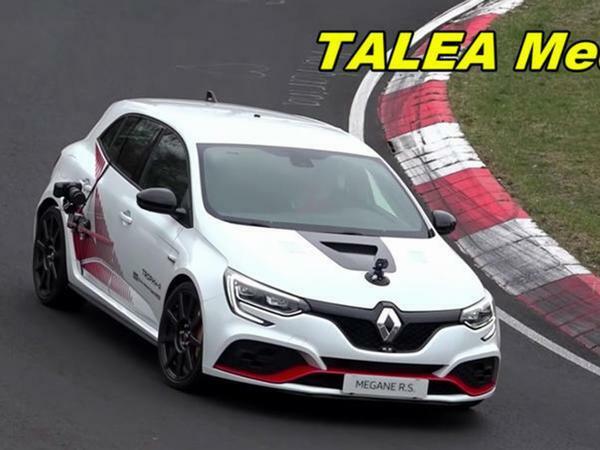 New Megane Trophy-R - the disguise is gone! 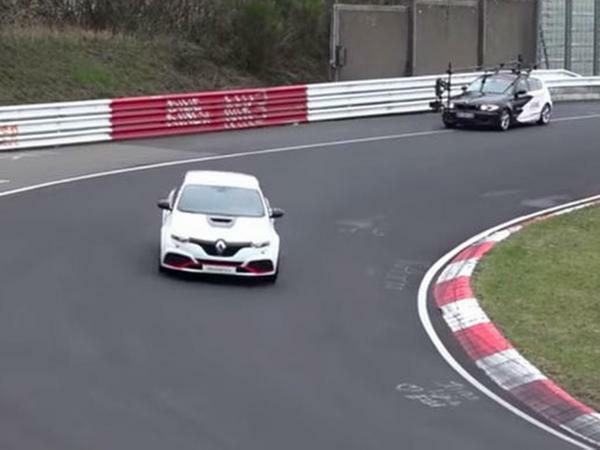 The rumours were true - that white Megane spotted on the Nordschleife at the end of last month has now been seen again, shorn again and bearing Trophy-R decals. Indeed, it's a very similar theme to that seen on the old Trophy-R, with white paint combined with red and black graphics. Given how production ready the car looks, with nothing else left to reveal or take away - plus the fact it's being filmed - the Trophy R surely can't be far from a full reveal. 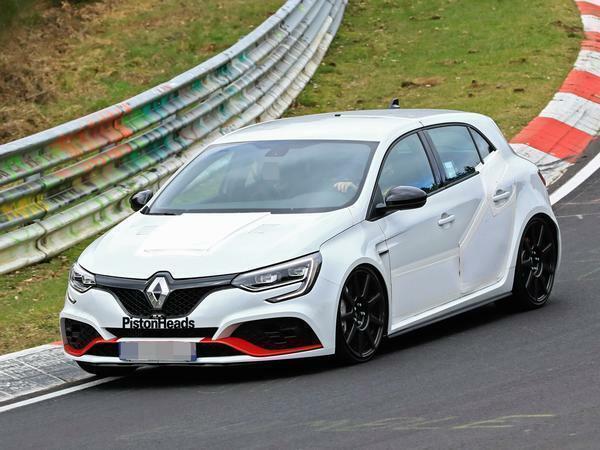 Remember there were just 10 months between the Megane 280 drives and those of the 300 in this new approach from Renault Sport; employ that logic to the Trophy-R and it'll be subject to media drives in September. Which would work very nicely with Goodwood Festival of Speed reveal, no? Or perhaps, given the Renault 5 Turbo is 40 years old in 1980, the reveal can wait until the New Year. Who knows. But consider us very excited at the prospect. Beyond the graphics being uncovered, there's nothing much new here in addition to what's already been seen, presumably because it's the same car. 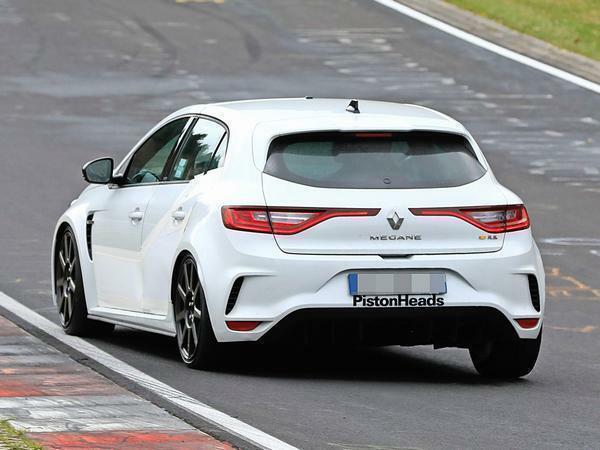 The bonnet is now vented and scoopier, maybe as a tuned version of the 1.8-litre turbo needs additional cooling. 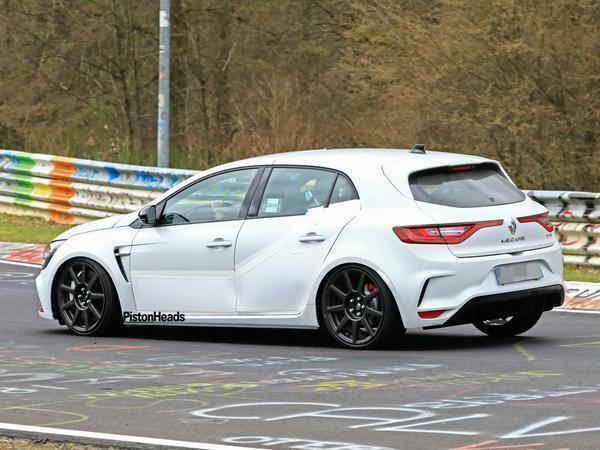 Could this stripped-out version of the current Renault Sport Megane be the model to finally see it earn a reputation on par with its predecessors? 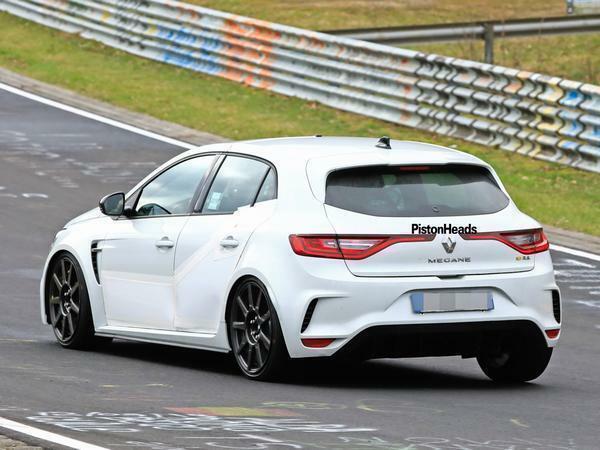 New spy pics suggest that Renault Sport is already turning the wick up on its Trophy car - a process which has typically seen the most expensive Megane gain an R badge, and legendary status to boot. Wishful thinking? Well, the latest mule was caught testing you know where - and while it confirmed nothing for sure, the manufacturer did concede to PH that its development programme is moving forward much more quickly than it did with the previous generation. There are other reasons to be cheerfully optimistic, too. Note the cladding on the bonnet and the additional vents either side of it. 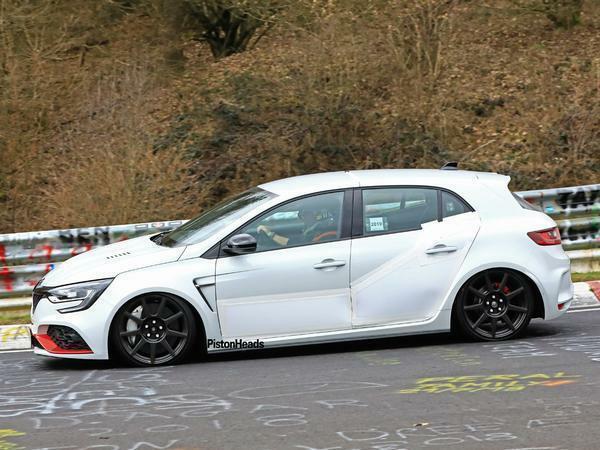 Renault wouldn't be the first to add a raised section just for the sake of styling - but there might also be a legitimate reason; like making space for a bigger intake. 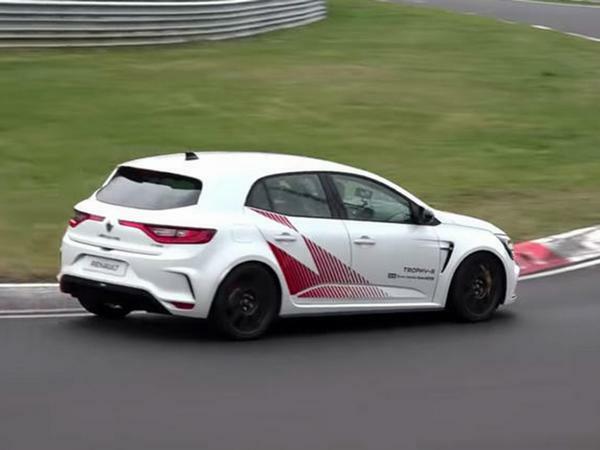 The last R version of the Trophy (from 2014) didn't receive a power boost, but there's every chance Renault has been encouraged to extract more punch from the boosted 1.8-litre, which develops 300hp in the standard Trophy. 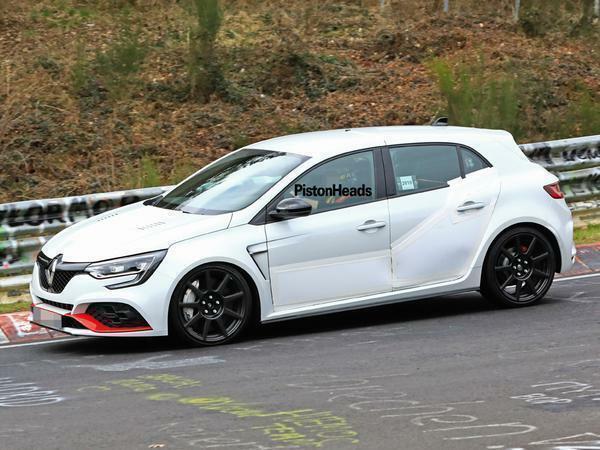 One thing we can be certain of, though, is that should this prove to be the R, it will be the most aggressively set up version of the current Megane yet seen. See the back seats? Or rather what looks to us like the conspicuous lack of them? 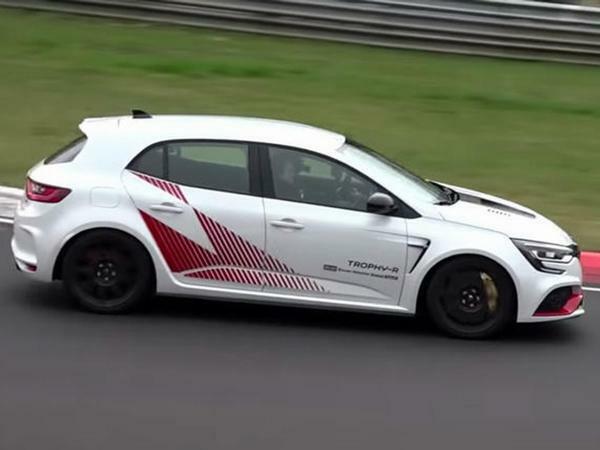 They're likely gone as part of a Dieppe-spec diet that should also include the removal of sound deadening, addition of lightweight wheels (probably the ones that are an option on the Trophy) and, if the last 275 Trophy-R is anything to go by, an infotainment delete. 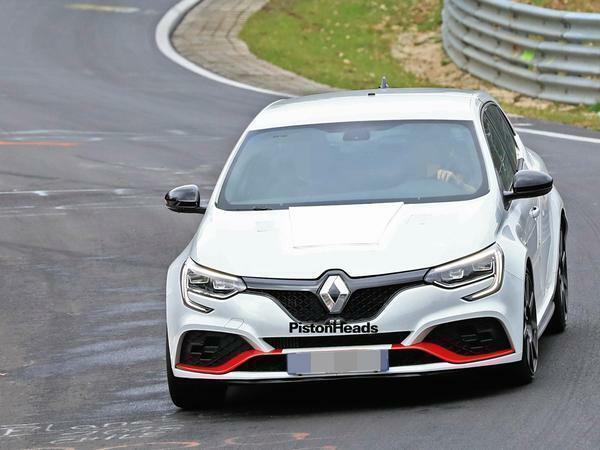 The current Trophy has deeply bolstered Recaros and stiffer Cup suspension as standard, but the R might get more aggressive geometry and tweaks to its four-wheel steering in order to maximise the changes. Plus, we spy a strut brace in the back to stiffen things up. That thing looks pretty much slammed.. seriously low ride height. Would be cool if they took the engine to a new level too. Supercharged and turbo'd or maybe a lightweight hybrid system to boost power low down.. something serious is in order. They don't seem to be wasting any time with launching new versions of this car. A five-door hatch with no rear seats has to be some sort of first.